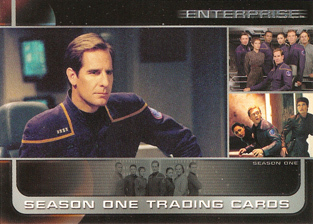 Enterprise Season One promo card P1 issued by Rittenhouse in 2002 featuring star Scott Bakula. NrMt-Mt or better. ONLY FIVE AVAILABLE FOR SALE.